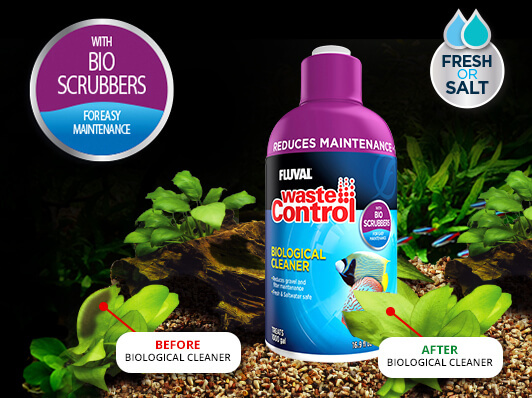 In a contained aquarium, there are a range of challenges to consider that differ from wild habitats. Surface area is limited, gas exchange is often poor, and fish density is typically denser. 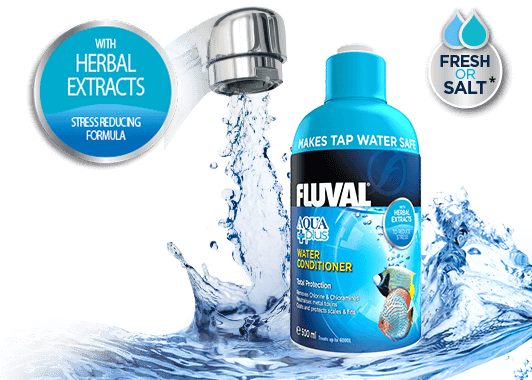 All of these factors can put a strain on the aquarium; therefore, supplementation is required to bring balance and harmony to your water. 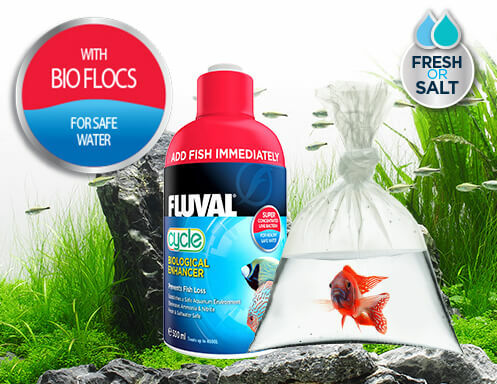 Aquarium supplements and conditioners are a convenient way to create ideal conditions that mimic those found in nature. 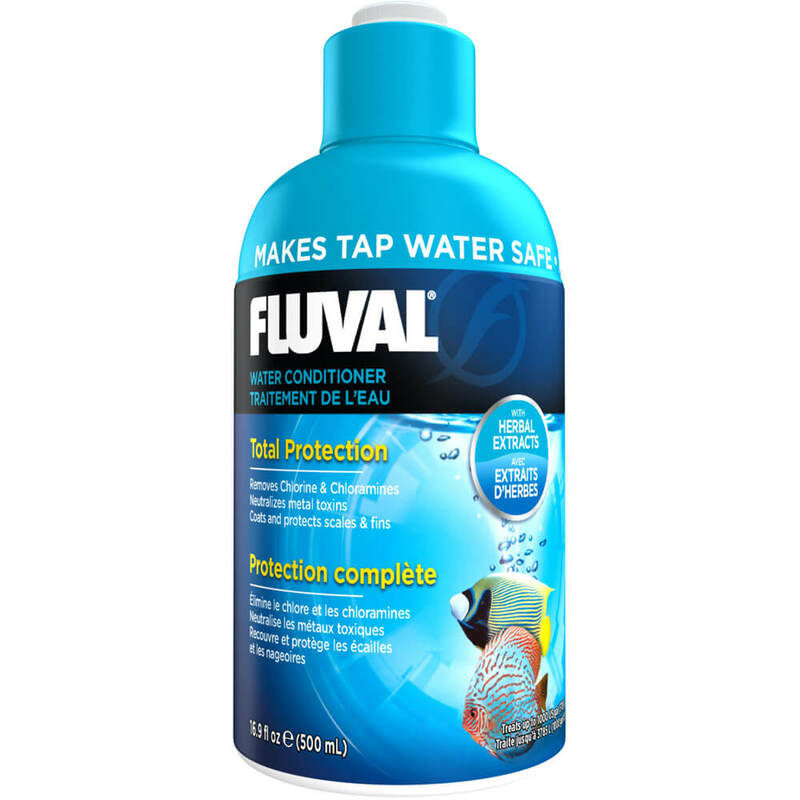 They make water safe for aquarium use by removing harmful waste and toxins, and adding beneficial bacteria to the environment. 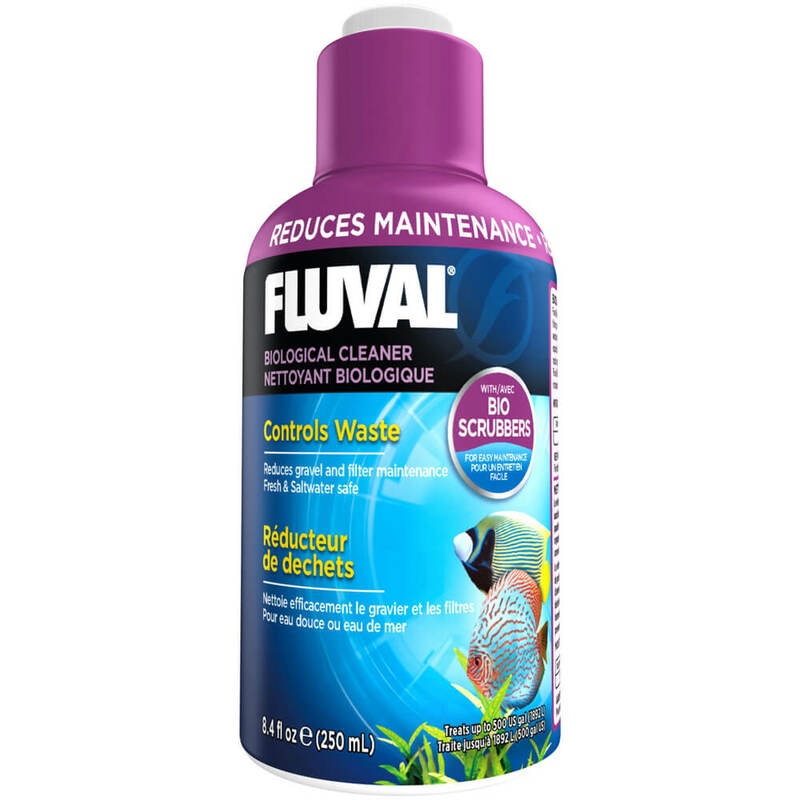 All Fluval water treatments are scientifically formulated and manufactured at Fluval’s state-of-the-art laboratories in Montreal, Canada. Makes tap water safe for fish by neutralizing toxic heavy metals and removing harmful chlorine and chloramine. 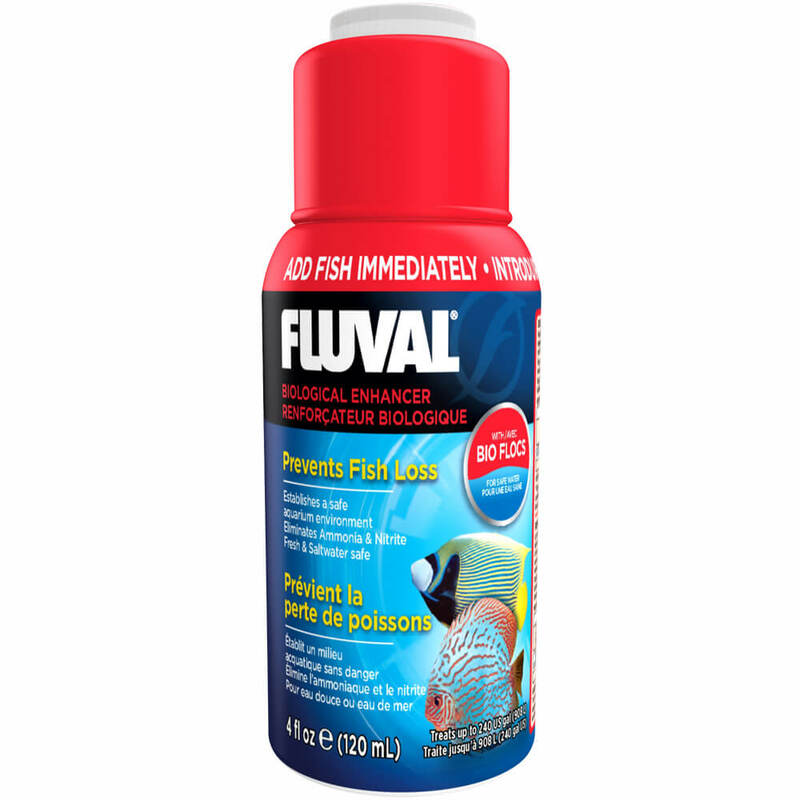 It features a patented stress relief formula and is also effective at protecting scales and fins from inflammation and infection caused by common scrapes and abrasions. 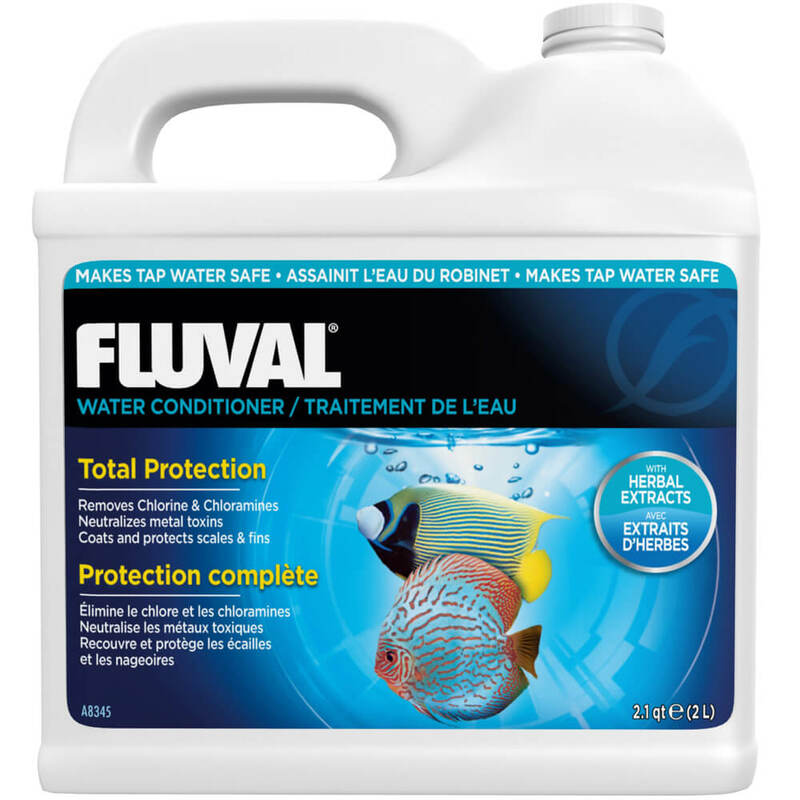 For use with new tank set-ups and water changes. FREQUENCY OF APPLICATION: as required. 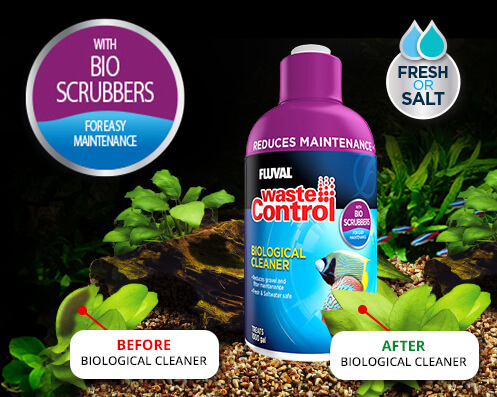 *SALTWATER: When skimmer is present, it is recommended to stop the skimmer for several hours and observe its function when restarted. 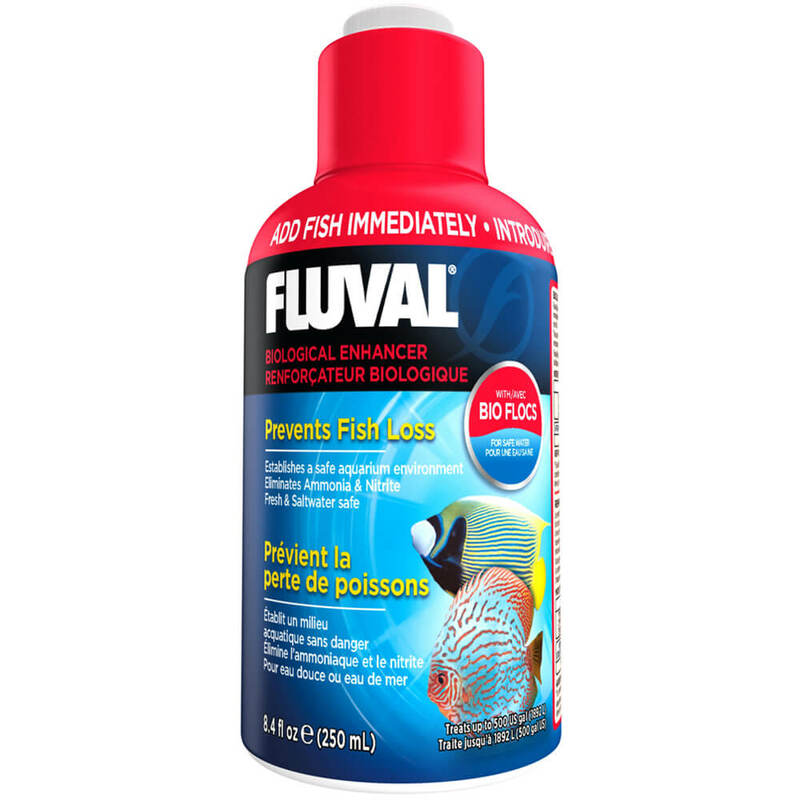 Immediately introduces a powerful team of beneficial bacteria, providing a safe biological habitat that helps prevent fish loss. 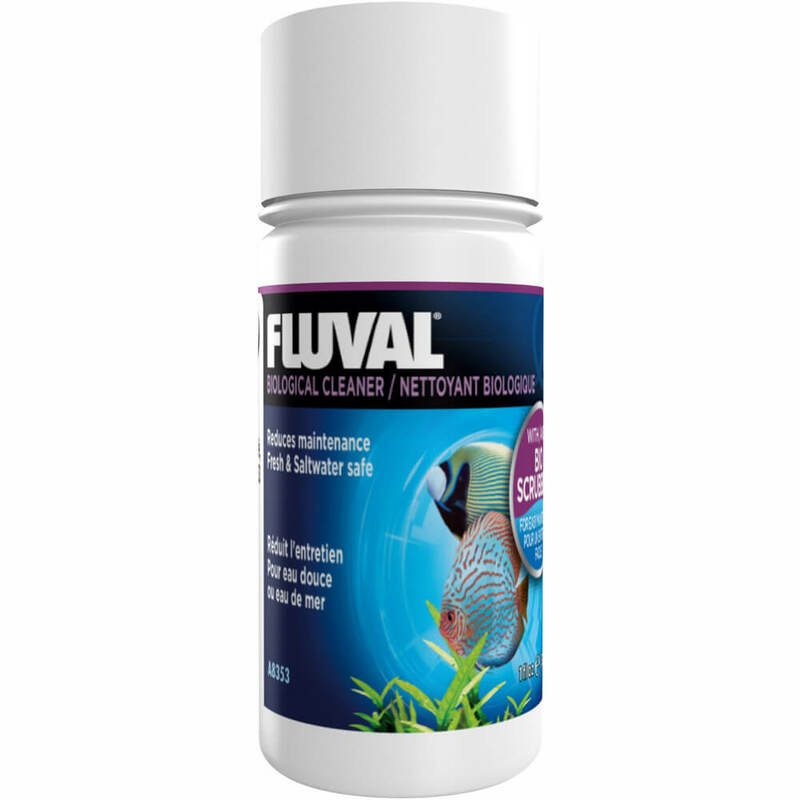 These highly effective micro-organisms quickly metabolize lethal ammonia and nitrite, to establish healthy living conditions for new aquariums. 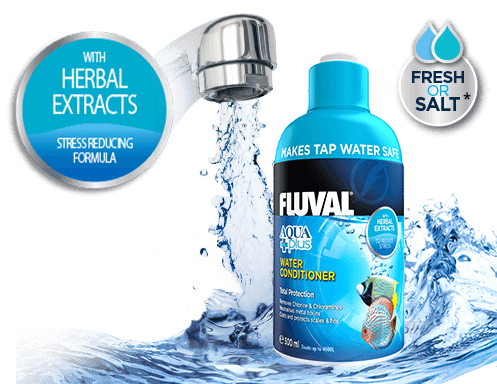 Also beneficial for use with all regular maintenance activities (i.e. 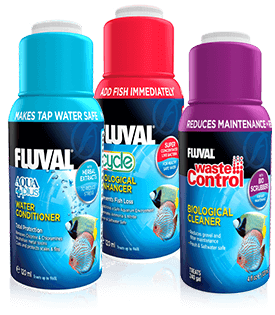 water changes, filter media changes, etc.). FREQUENCY OF APPLICATION: minimum weekly. 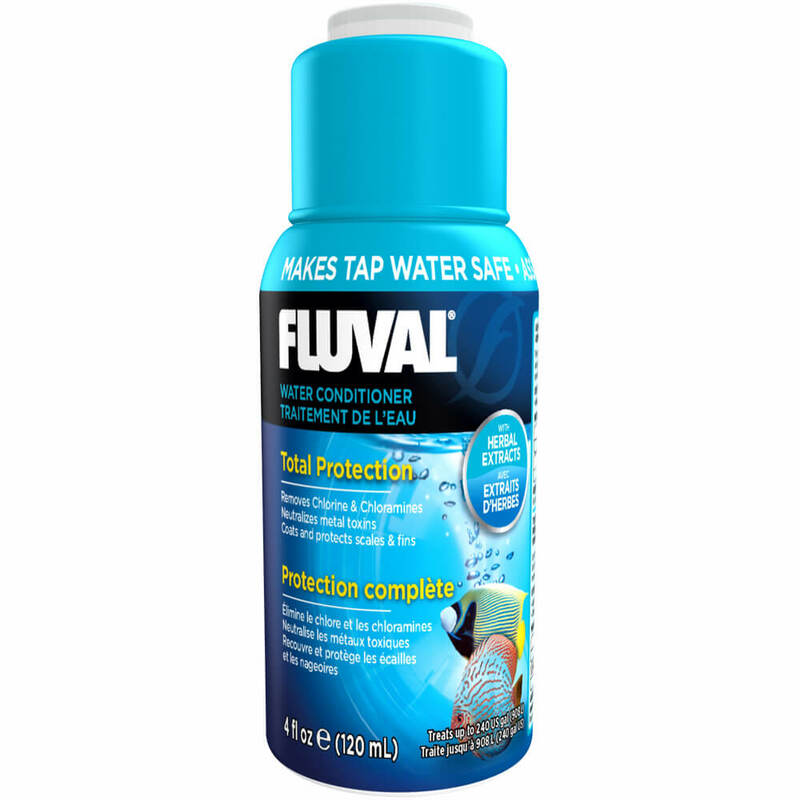 Contains beneficial bacteria that break down unsafe organic matter (i.e. fish waste, leftover food, decaying leaves, etc. 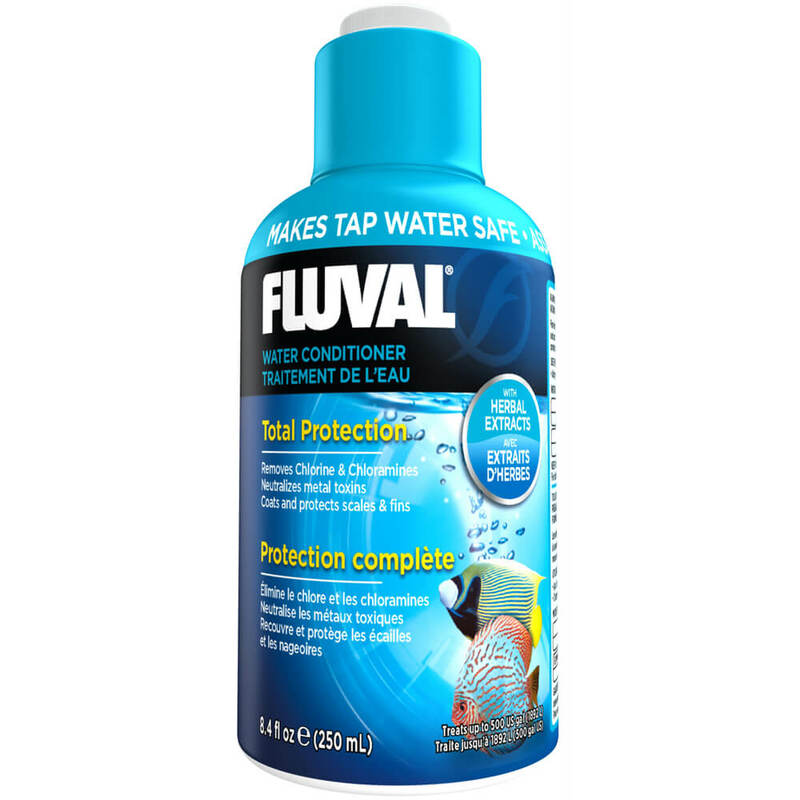 ), which gather on gravel, filters, ornaments and other surfaces. 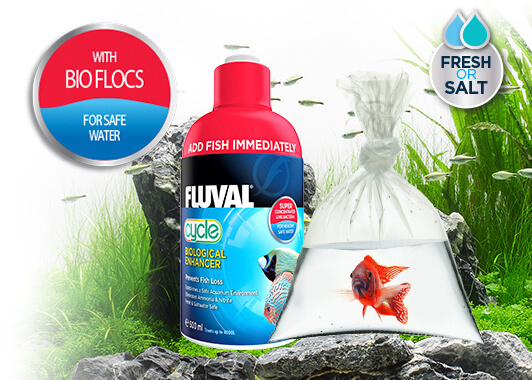 It is especially helpful for goldfish, cichlids and heavily populated aquariums where greater amounts of waste are anticipated. 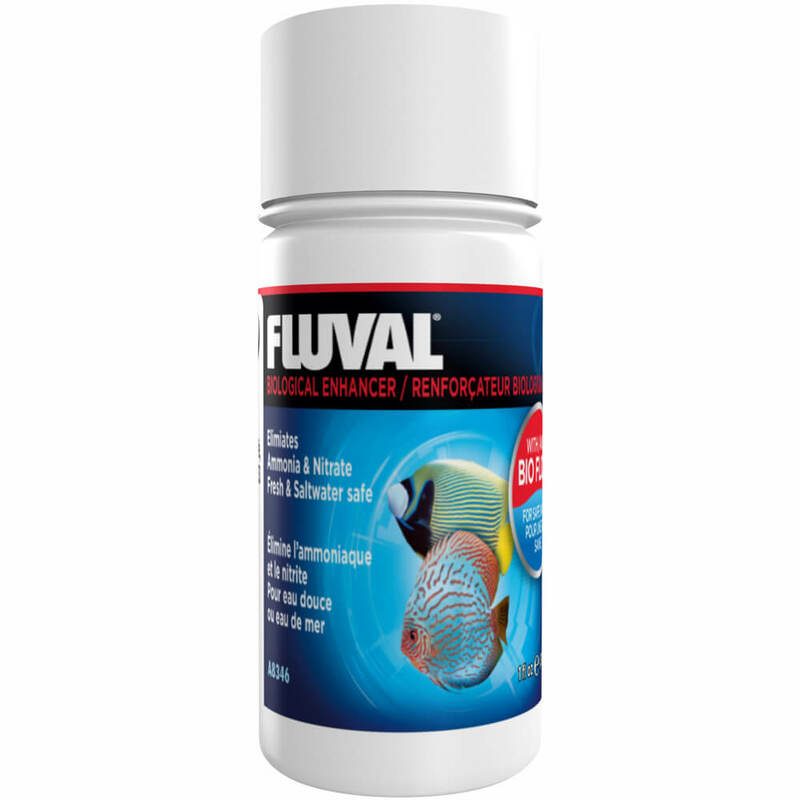 Use in combination with Fluval Biological Enhancer to provide an ideal balance between beneficial bacterial colonies. 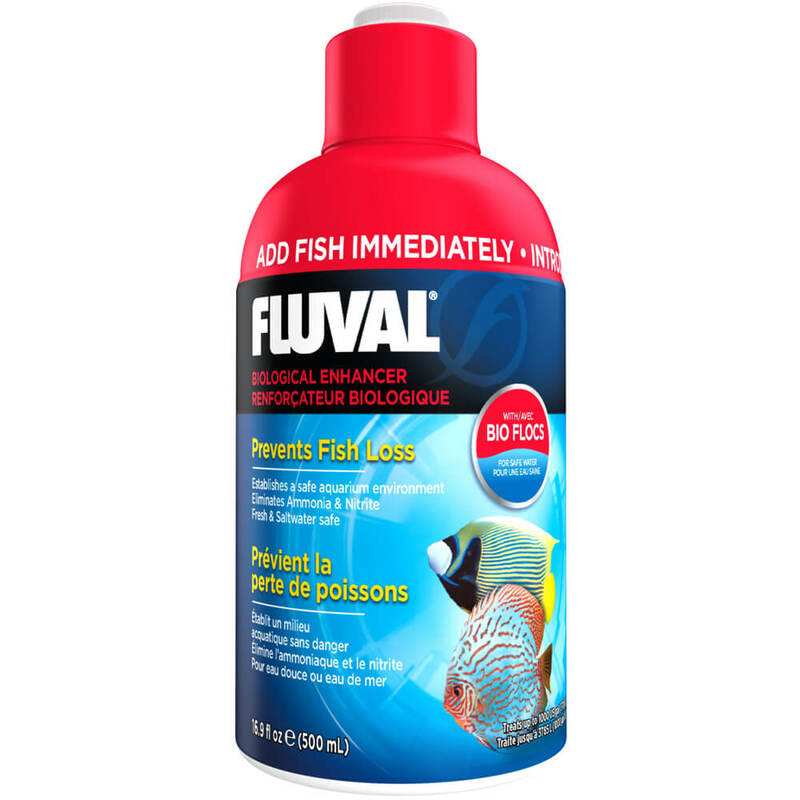 For use in new aquarium set-ups and regular maintenance. FREQUENCY OF APPLICATION: as required, minimum weekly.